Even after 40 years since Grease made it's silver screen debut with fresh faces John Travolta and Olivia Newton-John, the rock and roll musical is still attracting huge crowds with numerous productions taking place around the world every single year. For me, Grease was a huge part of my early-teen years, back when I had no idea what some of the crude remarks meant, and it is a musical that will never get old in my eyes. So when I headed along to the Wolverhampton Grand this week to see the latest young talents taking to the stage in Grease The Musical, I wasn't disappointed. The audience was unlike any other show I have been to before; with a whole host of ages and genders. If you need to remember what makes Grease so popular, you only have to look at the people enjoying it - it's timeless. Although I have had the pleasure of watching Grease a handful of times at various theatres before, and have seen the film more than I've had hot dinners, this particular production stood out for me. 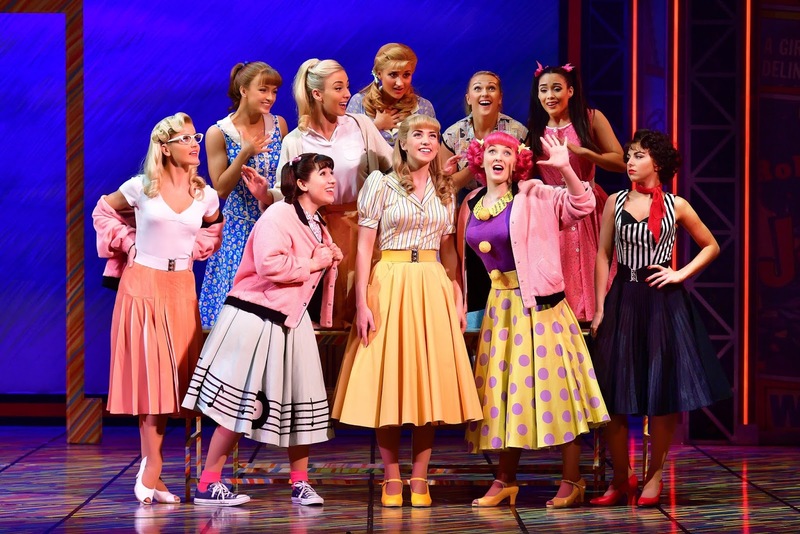 Thankfully, it doesn't stray too far away from the original story line, with everyone's favourite scenes like the Rydell High dance and the timeless Greased Lightnin' still taking to the stage with huge cheers and claps from the crowd. The production saw a few big names taking to the stage, including The Wanted's Tom Parker, who the women loved, taking on the role of Danny, Over The Rainbow winner Danielle Hope, who captured the audience's hearts as Sandy and EastEnders' Louise Lytton, whose role of the sassy Rizzo was simply made for. Music wise, it was everything Grease fans could have wanted it to be. Particular stand out's were by far Grease Is The Word, that really got the audience ready for the evening, and We Go Together. I also really enjoyed lovable Doody's, played by Ryan Heenan, 'Those Magic Changes', the ultimate love song Hopelessly Devoted To You, which was performed beautifully, and the cheeky Beauty School Dropout. I'll also admit, I was actually more impressed with the supporting roles than the main characters. Controversial it may be, but I thought Kenickie, played by Tom Senior, had an incredible voice, as well as infectious Jan, played by Rosanna Harris. I also totally fell for Doody and his voice was absolutely stunning. Although Danny, Sandy and Rizzo all put on one hell of a show, I felt that at times, they lacked the emotion that I was desperate to see. I also have to say a huge stand out of the show for me was the lovable geek Eugene, played by Callum Evans, who had the audience in the palm of his hands. However, the choreography and the stage itself was undoubtedly brilliant. Scene changes were quick and smooth and it was really enjoyable to see all the cast on stage for the big dance numbers. They had clearly practiced to perfection and it was great to see how much fun they all seemed to be having on stage. I also must give a special shout out to the band, who were absolutely fantastic. Not only did they bring the whole production together, they really made the show special and the audience couldn't get enough of them. It may have had it's not so good moments, but in my eyes, Grease isn't supposed to be absolutely perfect. I really enjoyed the production and would definitely recommend it to those who fancy a great night out. 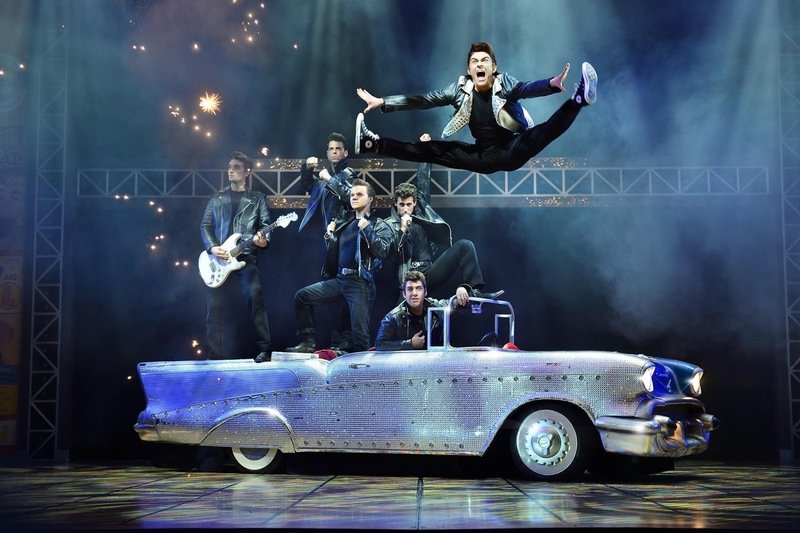 Grease The Musical is on stage at the Wolverhampton Grand Theatre until Saturday, 2nd December.